An automated cylinder press. Prints between 2500 and 5000 impressions an hour with a maximum sheet size of 12x18 inches. This press was made around 1942 in New Jersey and came from Saint Theresa's Press - a cloistered Carmelite Monastery in New Jersey. 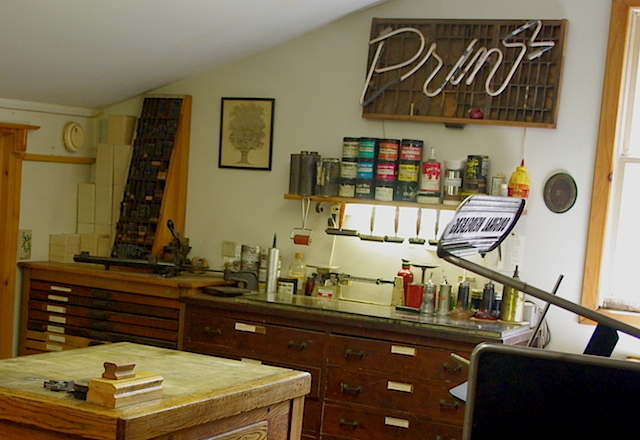 Behind the press sits one of the double type cabinets, this one mostly full of Garamond and Baskerville. On top is a cute little Kelsey 5x8 which is pretty much only useful for demonstrating the principles of letterpress on the road and in schools. 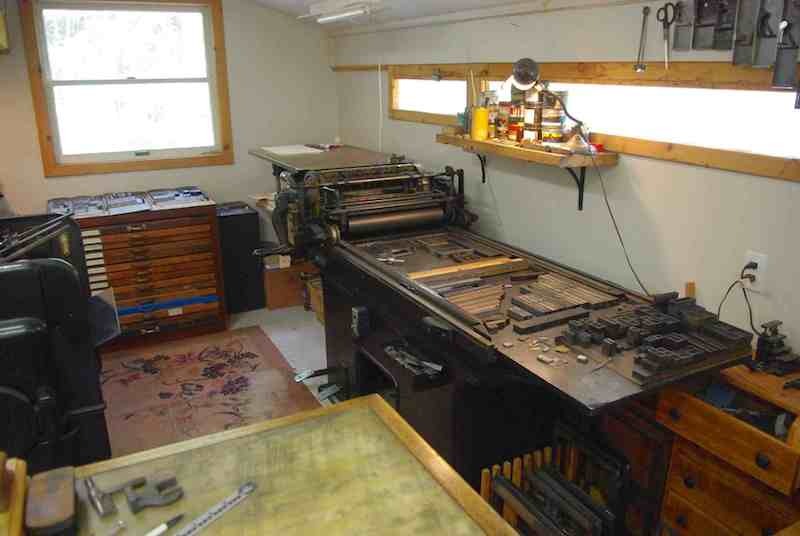 Cylinder press, hand fed, maximum sheet size 19.75 x 26 inches and is an impressive 10 feet 9 inches long from swing out feed boards to delivery end. This press was made in 1927 in Chicago and is pretty much one of the nicest Vandercooks one could hope for. 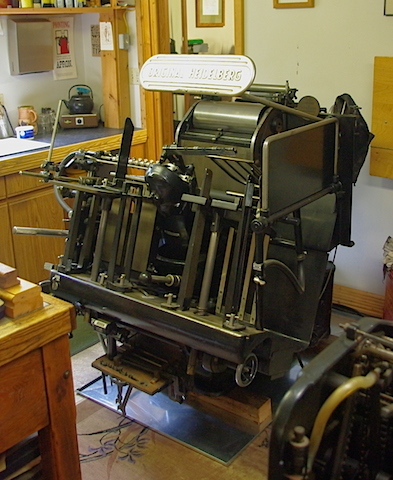 This is the press that is used for most all the fine book work when the expensive paper needs a bit of ink. It has the advantage of large diameter rollers and very precise roller height adjustments. An added (improvised) piece of equipment for this press is a 9x12 inch hot plate which allows me to do foil stamping and male/female die embossing with 1/4 inch dies. 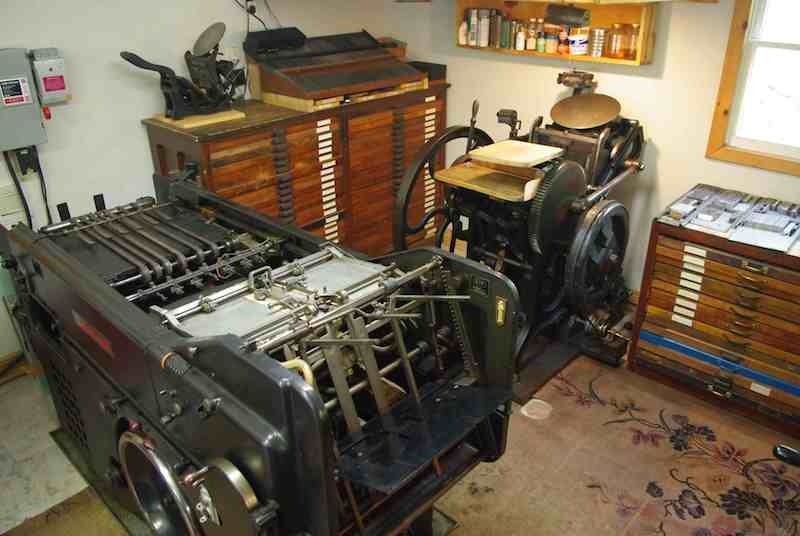 Chandler and Price Old Style 8x12 platen press, made in 1909 originally equipped with a foot treadle. Fitted with a pony fountain and driven by a motor with a variable pulley system to control speed. This press inks up and cleans up quickly making it perfect for short run jobs. A very versatile piece of equipment. 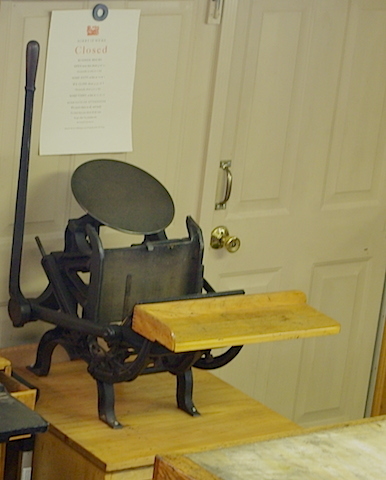 Chandler & Price Old Style Pilot press with a chase size of 6 1/2 x 10 inches. Perfect for apprentices and students to learn on as the print mechanism is a lever pulled by hand. In this picture is the Heidelberg Windmill. It is another automatic press that feeds and delivers the paper during printing at similar speeds to the Little Giant but will print rigid stock such as beer coasters and CD packaging in addition to lighter stocks. 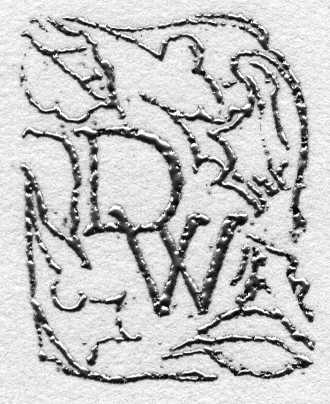 I'm getting rid of this one, it is too light weight and not versatile enough for what I need a big platen press to do. The ink slab, a furniture rack, plate gauge, slug cutter and unseen to the right would be the sink for cleaning up the human printer. Another type cabinet sits behind the centrally located imposing stone.